Check out our holiday gift guide for the adventure seekers on your list—from kayaking lessons to dog agility classes, there's something for everyone. 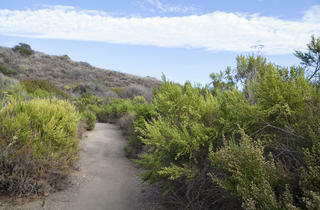 Photograph: Jakob N. LaymanHoliday gift guide: Park free at the park$450 for a seven-day annual MRCA pass. Available through MRCA. Eucalyptus-scented candles, $10 smoothies and steam rooms are totally overrated. 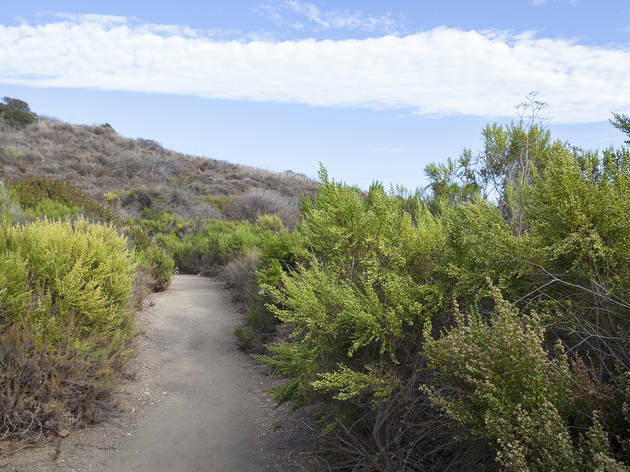 Give him an excuse to get out of the gym with a parking pass through the Mountains Recreation &amp; Conservation Authority (MRCA) good for 17 parks and trailheads&mdash;including Corral Canyon Park and Temescal Gateway Park. 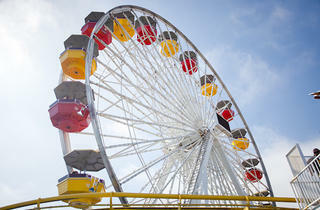 Photograph: Deborah YunHoliday gift guide: Endless Ferris wheel ridesFrom $22.95. Available at Santa Monica Pier. 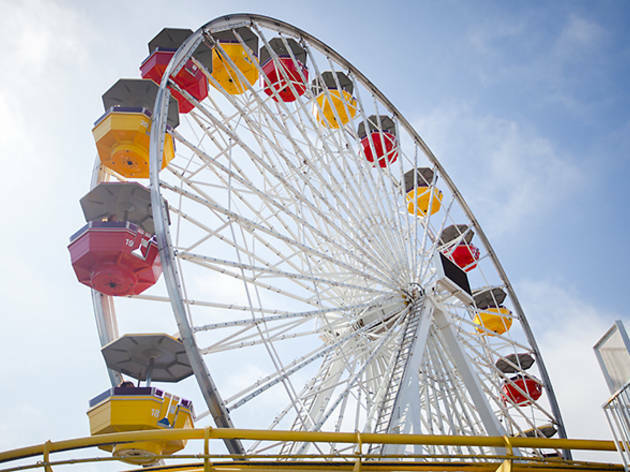 Take advantage of LA&rsquo;s 80-degree winters with an all-day unlimited pass to the Santa Monica Pier&rsquo;s Pacific Park. With 12 amusement rides, 18 Midway games and oceanfront restaurants, you can ride the Ferris wheel, scream on the steel roller coaster that charges 55 feet above the ocean and win games and prizes. 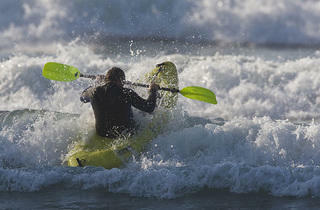 Photograph: MIke BairdHoliday gift guide: kayaking or stand-up paddle-board lessonsRentals from $20/hour; lessons from $100. Available at Malibu Surf Shack. No pool? No problem. Beat the heat while still enjoying the outdoors with kayaking or stand-up paddle board rentals and lessons. Athletic junkies can rent equipment on their own and cruise down the coast, along Carbon Beach, or up past the Malibu Colony, while those who are less athletically inclined can just float and enjoy the sun. Holiday gift guide: Star in her own reality show From $2,000. Available through RealityRush.com. She&rsquo;s sent her application to Survivor a dozen times but just can&rsquo;t get voted onto the island. Take matters into your own hands with Reality Rush. 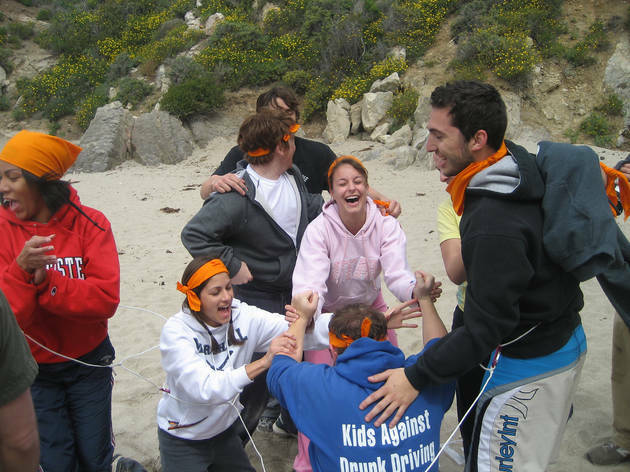 The entertainment company helps re-create your favorite reality show adventures with experiences like &ldquo;The Race,&rdquo; modeled after the Amazing Race, &ldquo;Eviction,&rdquo; based on Big Brother, &ldquo;Sabotage,&rdquo; based on the Mole, and &ldquo;Outlast, &ldquo;based on Survivor. Sessions can last from three hours to three days, and custom experiences can be created. 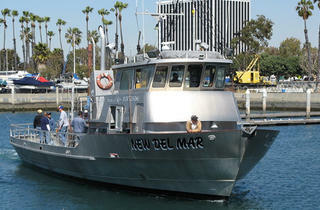 Photograph: Courtesy Marina del Ray Convention and Visitors BureauHoliday gift guide: Fishing excursion From $34. Available at Marina del Rey Sportfishing. Sure, the last thing you caught in the Santa Monica Bay may have been an infection, but that&rsquo;s because you didn&rsquo;t have the right supervision. Instead of getting your dad another sweater he&rsquo;ll never wear, gift him a day on the water with Marina del Rey sportfishing. 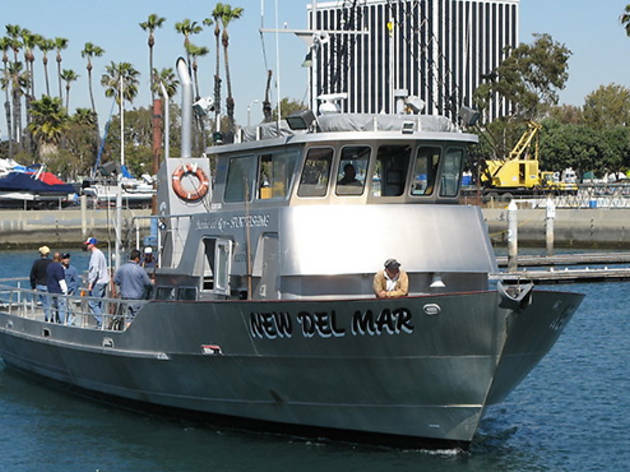 The U.S. Coast Guard&ndash;licensed vessels depart from the Marina and cruises hot spots for gamefish&mdash;halibut, sand bass, calico bass, barracuda, white sea bass and yellowtail&mdash;from Rocky Point to Point Dume. Holiday gift guide: Pet whispererHouse calls from $250. Available through ThePetPsychic.com. All of the pet whispering in the world sometimes can&rsquo;t explain why your little pony gets scared every time he sees a squirrel. Laura Stinchfield can help. The animal communicator has a legitimate ability to read animal&rsquo;s thoughts based on certain signals she can tap into. Want to know why Fido&rsquo;s leg hurts? Why your pet hamster won&rsquo;t use his wheel? Why that grizzly bear keeps breaking into your house and raiding your fridge? Laura can help. She&rsquo;s worked with a range of animals, from cats and dogs to elephants, snakes, bears, mountain lions, iguanas and birds. Unfortunately, she cannot help with lost pets. She&rsquo;s a communicator, not a miracle worker. Photograph: Adam TaylorHoliday gift guide: Dance like a star Classes from $15; private lessons from $95. Available at Third Street Dance. For the person in your life who dreams of dancing like a star, gift them a package of classes or private lessons to the same studio the reality competition pros practice, Third Street Dance. Salsa, ballroom, swing and tango are all part of the program, as are dance workouts and wedding prep. 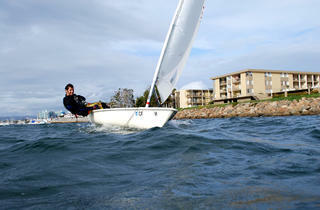 Photograph: Courtesy UCLA MACHoliday gift guide: Sailing classesClasses from $140. Available at the UCLA Marina Aquatic Center. For your friend who misses&mdash;or missed out on&mdash;the East Coast, sailing classes are a great way to bring out the prep. 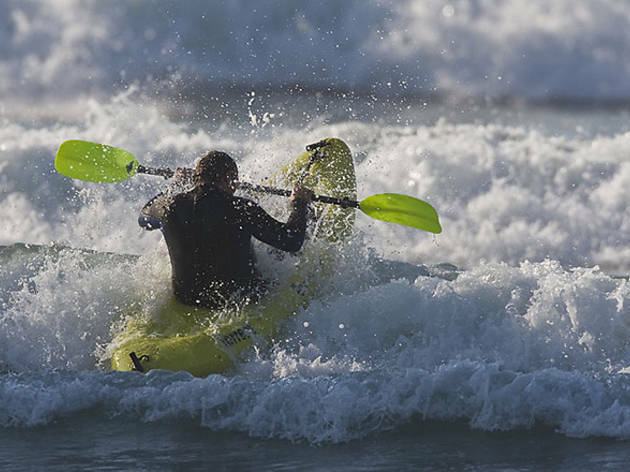 The UCLA Marina Aquatic Center (MAC) offers instruction on a variety of small boats. 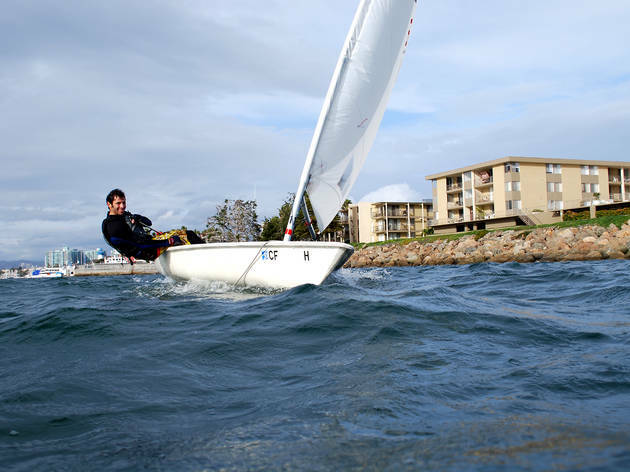 Beginning classes are taught within the Marina, and testing and certification are included, as are all equipment, even wetsuits&mdash;so best to leave the polo shirt and khakis on shore. 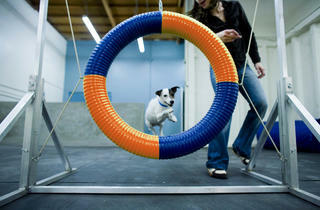 Holiday gift guide: Dog agility lessons From $35/two classes. Gift certificates available in any amount through Zoom Room. Poor Fido is so sick of the view from the top of Runyon. 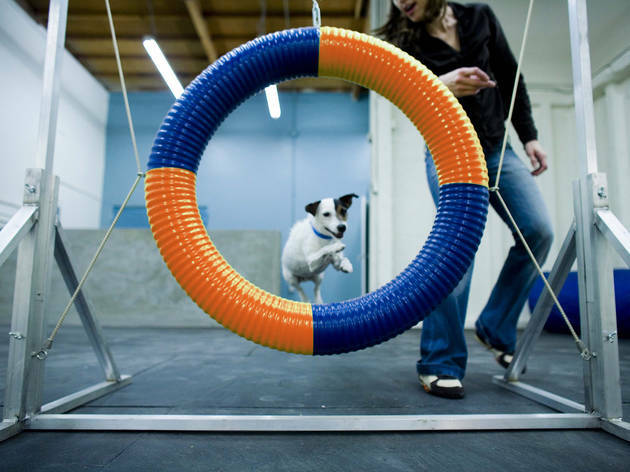 Give your favorite pup&mdash;or pup owner&mdash;a change of scenery with agility training at the Zoom Room. Jump through hoops, try out Pup-lates or compete with groups for trophies and prizes. The customized programs are ideal for puppies, overweight dogs or recuperating dogs. Obedience training, an indoor dog park and dog training are also offered at the Culver City and Hollywood locations, with a Sherman Oaks outpost opening in January. 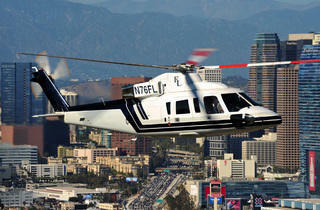 Photograph: Courtesy HelinetHoliday gift guide: Helicopter ride in style to the gameFrom $1,600 per hour. Available through Helinet Aviation. Courtside seats at a Lakers game? Awesome. The two hours you&rsquo;ll spend in traffic to get to those seats? Not so much. 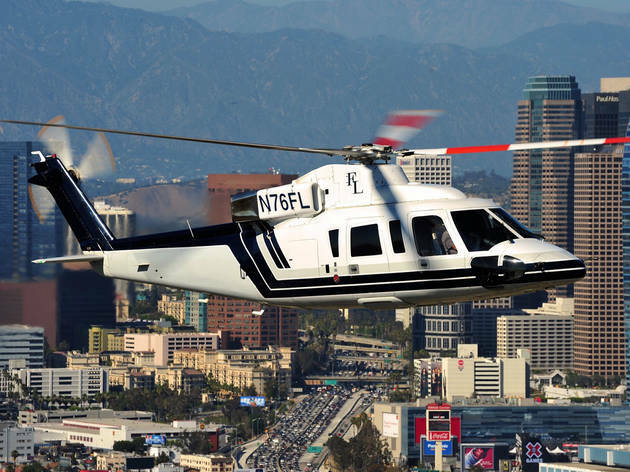 Make a night downtown for a concert, musical performance or sporting event truly memorable by splurging on a helicopter service that can take you and your gift recipient from Santa Monica to the Staples center in under five minutes. If only they could do something about the bathroom lines.